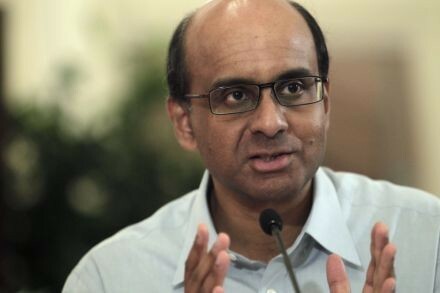 IN ADDITION to addressing the needs of the poor elderly, the upcoming 2015 Budget will help mid-career, middle-aged Singaporeans who want good, fulfilling careers, said Deputy Prime Minister Tharman Shanmugaratnam on Sunday. "We've always got to look to the future - anticipate the challenges, prepare our people and equip them with the capabilities and the expertise that they need to do well, individually as well as collectively as Singapore," he told reporters after attending a community event to kick off the 110th anniversary celebrations of the National University of Singapore. Mr Tharman is leading the government's push to train workers in employable skills as technology reshapes jobs across the global economy and competition from developing countries heats up. He is chairing the 25-member SkillsFuture Council, a national panel set up last September to develop a system of education, training and progression for Singaporeans. Mr Tharman also said on Sunday that the government is putting the final touches to the Silver Support scheme, along with other measures to help the poor elderly. The scheme, announced in last year's National Day Rally, will provide an annual bonus to low-income Singaporeans with little or no Central Provident Fund (CPF) savings, once they turn 65. "Providing assurances in retirement for our seniors is a very important priority, not just for today's generation of seniors but those in future as well. It is a strengthening of our social security system," Mr Tharman said. This year's Budget, to be delivered in Parliament on Monday, Feb 23, comes amid Singapore's 50th anniversary celebrations. It also comes as questions are being asked of Singapore's restructuring push to boost productivity and ensure sustainable wage rises. On Sunday, Mr Tharman said the Budget will build on what the government has been doing in the past, and especially in the last five years. The government has taken steps to significantly transform Singapore's social and economic landscape, he said. Ultimately, the Budget aims to build Singapore's future for all Singaporeans, be they young, middle-aged, or the elderly, he said. Singapore has to be an affordable place to raise children, with quality education, he said. And the elderly need assurance in retirement. "That is the way in which things add up. It is our education and our skills - skills that will give us a good future, and that then allow us to also look after our elderly well," he said.